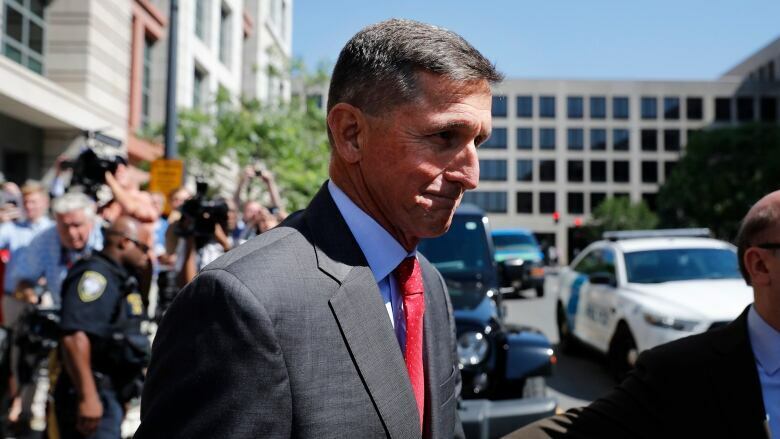 U.S. Special Counsel Robert Mueller's office is recommending no jail time for former U.S. national security adviser Michael Flynn because he provided so much substantial information to the Russia investigation. According to a sentencing memo filed in court, prosecutors say Flynn provided "firsthand information about content and context of interactions between Trump transition team and Russian government officials." Mueller's filing provides the first details of Flynn's assistance in the Russia probe, including that he participated in 19 interviews with prosecutors. It was filed two weeks ahead of Flynn's sentencing and just over a year after he pleaded guilty to lying to the FBI about conversations with the Russian ambassador on Trump's behalf. Though prosecutors withheld specific details of Flynn's co-operation because of ongoing investigations, their filing nonetheless underscores the breadth of how much information Mueller has obtained from people close to Trump as the president increasingly vents his anger at the probe — and those who co-operate with it. The retired army general was forced to resign after he was found to have misled Vice President Mike Pence about discussions he had with Russia's then-ambassador Sergei Kislyak before Trump became president. In Tuesday's filing, Mueller's office blamed Flynn for other senior Trump transition officials making misleading public statements about his contacts with Russia, an assertion that matches the White House's explanation of Flynn's firing. According to court papers, in mid-December 2016, Kushner directed Flynn to reach out to several countries, including Russia, about a UN Security Council resolution regarding Israeli settlements. During those conversations with Kislyak, Flynn asked Russia to delay or vote against the resolution, a request the Kremlin ultimately rejected. 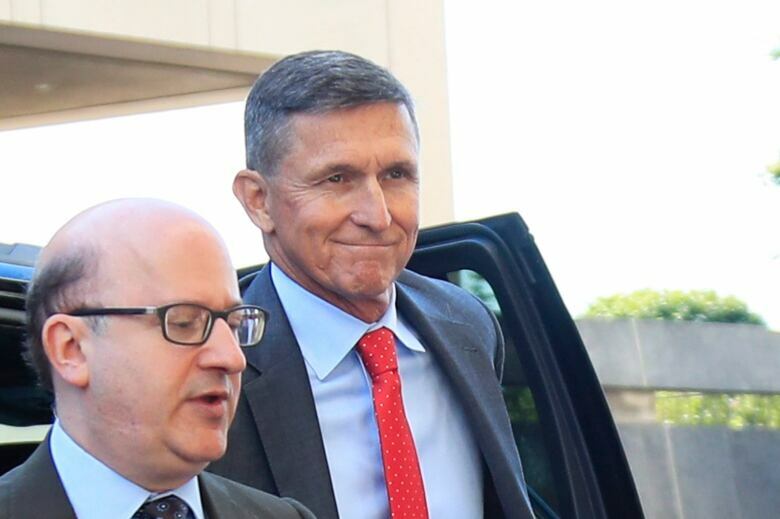 Mueller noted Flynn's "exemplary" military and public service record in his filing, but added that his service "should have made him particularly aware of the harm caused by providing false information to the government, as well as the rules governing work performed on behalf of a foreign government." Flynn's crime of lying to the FBI carries a statutory maximum sentence of five years in prison. However, his plea agreement states he is eligible for a sentence of zero to six months and can ask the court not to impose a fine. Flynn's long career in the military culminated with his appointment by President Barack Obama as director of national intelligence in 2012. But he was forced into retirement a year early in 2014, after reportedly clashing with officials in the Pentagon and the administration. He went on to start a consultancy and write a book, which was highly critical of Obama, and he undertook speaking engagements and other appearances. 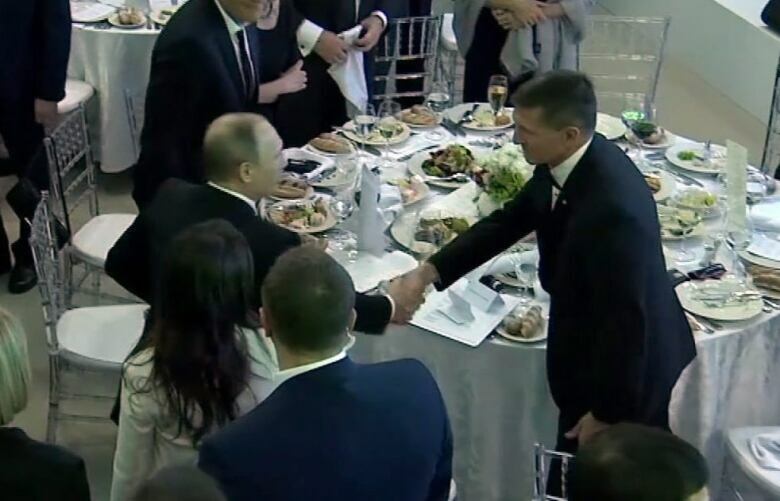 One of them, at a December 2015 event for Russian state broadcaster RT in which he ended up seated next to Russian President Vladimir Putin, raised eyebrows among his former colleagues. He then campaigned vigorously for Trump in 2016, encouraging audience members during his speaking turn at the Republican national convention in Cleveland, who were chanting "Lock her up!" when he mentioned Hillary Clinton's name. Mueller, as special counsel, was given the job of probing "any links and/or co-ordination between the Russian government and individuals associated with the campaign of President Donald Trump; and any matters that arose or may arise directly from the investigation." The list also includes his former presidential campaign chair, Paul Manafort, and Manafort's colleague, Rick Gates, Trump's former personal attorney Michael Cohen and campaign foreign policy adviser George Papadopoulos, who began serving a short prison sentence last week. Tuesday's development comes as the Democrats are set to take control of the House in January. The party's leadership has promised to vigorously pursue areas of investigation into Trump's finances and Trump team contacts with foreign actors, having accused the Republicans of choosing party loyalty over proper oversight the past two years. Trump has continually railed against the special counsel investigation and Russia has denied interfering into the 2016 election, though Putin admitted at a joint appearance with the U.S. president this past summer that he had hoped Trump would prevail over Clinton.